Hiroshima 6 August 1945, 8:15. Setsuko Thurlow, “Hibakusha”, survivor of the Hiroshima bomb. Erasmus. The Complaint of Peace. It is difficult to live without external peace in the world around us. It is impossible to live without inner peace, without peace in our hearts. Music creates a space of peace, both within and outside us. Few people create music and some are able to perform it, but we can all listen to it; however, this third musical art has to be learned by creating an outer and inner silence. To listen to music, we must be at peace, and at the same time music is a source of peace. It is a vital circle. Raimon Panikkar. Introduction to the concert Da pacem. (Universal Forum of Cultures). Barcelona, summer 1966 and January 1987. Antoni Tàpies. A Personal Memoir and Conversations. I have chosen to introduce our PRO PACEM project with four different quotes which immediately take us to the crux of the debate: the personal account of Setsuko Thurlow, a “Hibakusha”, that is to say, a survivor of the Hiroshima bomb and an innocent victim of a horrific war; a reflection by Erasmus of Rotterdam, the great 16th century humanist and advocate of Peace, on the fact that it is always the innocent who suffer most in any war; a spiritual observation on the impossibility of living without peace in our hearts by the philosopher, theologian and writer of Catalan and Hindu origin, Raimon Panikkar; and a reflection rooted in experience by one of the leading artists of our time, the painter Antoni Tàpies, on the social commitment of the artist. 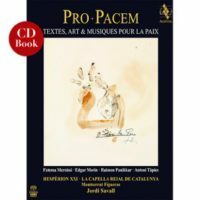 PRO PACEM is a new CD-Book project that makes a plea for a world without war or terrorism and for total nuclear disarmament. It presents a sound mosaic that takes the form of a living dialogue of spiritually expressive vocal and instrumental music from a variety of repertoires from East (Armenia, Turkey, Sepharad, India, Israel and China) and West (Greece, Spain, England, Portugal, Italy, Estonia and Belgium). These different musical expressions were inspired by the ancient Sibylline Oracles (Montserrat Figueras), the prayers of the Koran and the Hebrew liturgy, vocal pieces based on one of the earliest Christian chants invoking peace: Da Pacem Domine (Grant me Peace, o Lord), first in the Gregorian version, which is followed by Gilles Binchois’ 3-part version (14th century) and finally the new version by Arvo Pärt, which was specially composed for our concert for Peace performed during the Barcelona Forum of Cultures in 2004, and including pieces by Josquin, Parabosco, Orlando di Lasso and the Sephardic lament El Pan de la Aflicción. 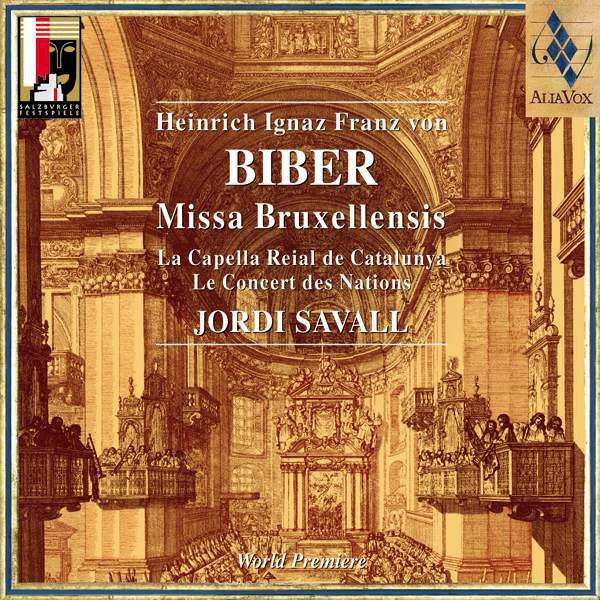 All these works are performed by the soloists of La Capella Reial de Catalunya. This PRO PACEM programme features other vocal music sung by Montserrat Figueras, such as the Motet Flavit auster from the Monastery of Las Huelgas, the Portuguese villancico from Goa entitled Senhora del mundo and the Motet by Francisco Guerrero, as well as improvisations by Ferran Savall in Deploratio IV. Finally, it includes instrumental pieces by Christopher Tye, Henry Purcell and one of my own compositions (Planctus Caravaggio), all profoundly spiritual in character. 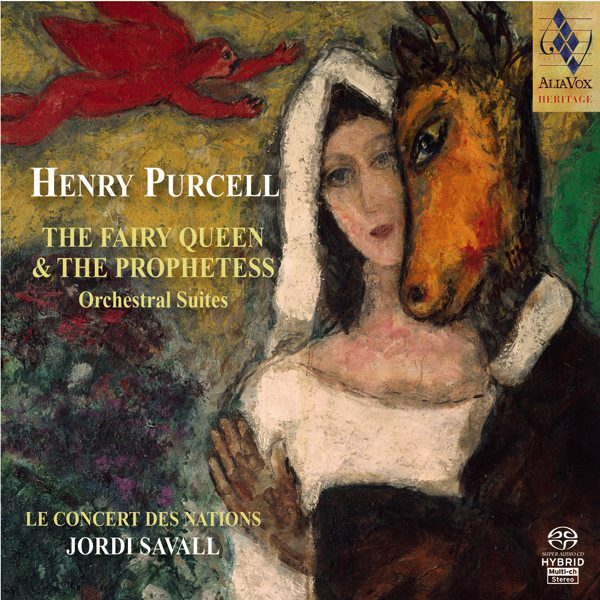 The performers featured in the recording are Montserrat Figueras, Lior Elmaleh, Marc Mauillon, Muwafak Shahin Khalil, Ferran Savall, the soloists of La Capella Reial de Catalunya, Hespèrion XXI, Le Concert des Nations and guest musicians from Armenia, USA, Israel, Palestine, Turkey, India, Japan and Greece. The non-musical part of this project, introducing four interesting texts on the purpose of art and educational, philosophical and spiritual thought, as well as reproductions of three previously unpublished paintings by Antoni Tàpies on the theme of Peace, plays a major role in proposing a broad reflection on the paths of peace in the world through the collaboration of four outstanding cultural and artistic figures of our time: Edgard Morin, Raimon Panikkar, Fatema Mernissi and Antoni Tàpies. They address such the issues as the education of the future; the importance of intercultural dialogue as a means to achieve peace between East and West; the model towards which our globalised world will evolve – the Cowboy or the Simbad model; and, finally, the relationship and commitment of the creative artist to society and the world in general. The project is neither more nor less than the desire to engage in a joint reflection, by means of information and intercultural dialogue, on how we can create the conditions necessary for true awareness of the importance of the present moment and what is at stake. Accordingly, the contents of our CD-Book are translated into eight languages (French, German, English, Catalan, Spanish, Italian, Arabic and Hebrew). We firmly believe that the principal enemies of mankind – ignorance, hatred and selfishness – can only be overcome by love, knowledge, empathy and understanding. Is this not the ultimate purpose of art and thought? It is our hope that the music, the works of art and philosophical and spiritual reflections, the analyses of the globalised world in which we live, and the knowledge provided by the statistics reproduced in the CD-Book, will shed a little more light and perspective objective on today’s obscure and complex world. Statistics may be cold and dull, but they give a precise account of important facts such as the number of innocent victims and displaced people trailing in the wake of the major wars and conflicts, as well as the military spending in the world and the number of nuclear weapons stockpiled throughout Europe and elsewhere. All this information should help us to become more aware of the situation in which we live and enable us to think independently about what might have led to the present dreadful disarray of our bankrupt humanity, which seems to have lost touch with its essential values of civilisation and humanism. The imbalance in the world has intensified in recent years as a consequence of an inhuman economic policy that has sacrificed millions of lives to the establishment of totally outmoded systems of exploitation. That is why, in this time of grave economic crisis, it is even more surprising that military spending has sharply increased, reaching the astronomic figure of more than 1,700 billion U.S. dollars, serving only to fuel and prolong the numerous armed conflicts which currently rage in the East and the West, many of them still unresolved and unlikely to be resolved in the near future. Sadly, this proliferation of long-term conflicts (in Afghanistan, Iraq, Chechnya, Palestine and Africa), as well as more recent conflicts (Syria) and the so-called “irregular” guerrilla wars (in Latin America) and various forms of terrorism have so far claimed thousands upon thousands of innocent victims and more than 33 million displaced people throughout the world. As Erasmus observed in 1517, “war almost always takes its heaviest toll on those who have no part in it.” Twenty years after failing to prevent the systematic destruction of Sarajevo and the massacre of thousands of innocent Bosnians, the same human callousness and absolute impotence of the world’s great nations are doing nothing to stop the martyrdom of the Syrian people. Absolute evil is always that which man inflicts on man, and it is a universal fact that concerns all humanity. Hannah Arendt was perhaps the first to recognize it when she wrote in 1945: “the problem of evil will be the fundamental question facing intellectual life in Europe after the war.” Can art, music and beauty save mankind from that evil? In Dostoevski’s novel The Idiot, an atheist called Hippolite asks Prince Myshkin, “Is it true, Prince, that you once said that “beauty” would save the world?” And he then goes on, “Gentlemen,” addressing the whole company, “the prince contends that beauty will save the world […] What kind of beauty is it that will save the world? […] Myshkin stared at him in silence.” The prince has no answer, but, like Antoni Tàpies, we believe in an art that is useful to society, an art that through beauty, grace, emotion and spirituality, can have the power to transform us and make us become more sensitive and plus altruistic. “I have learnt to love you late, Beauty, at once so ancient and so new! I fell upon the lovely things of your creation! and yet, if they had not been in you, they would have had no being at all! You cried aloud to me; you broke my barrier of deafness. You shone upon me; your radiance enveloped me and you put my blindness to flight. I tasted you, and now I hunger and thirst for you.